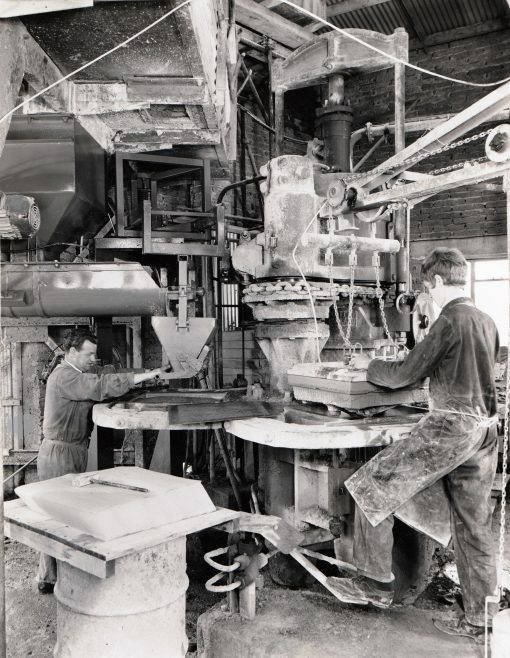 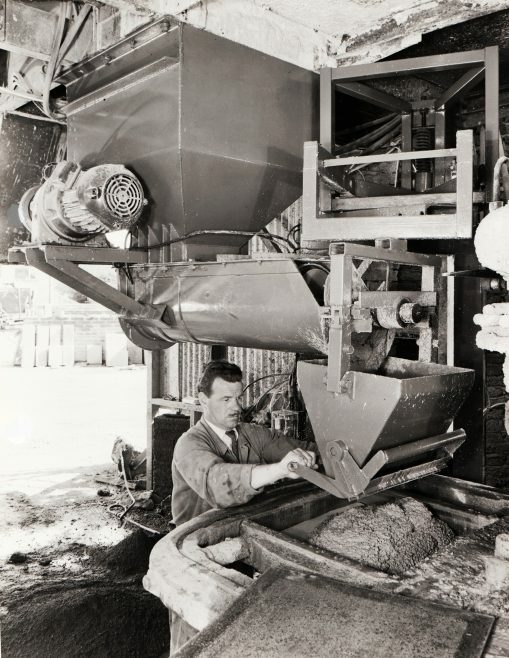 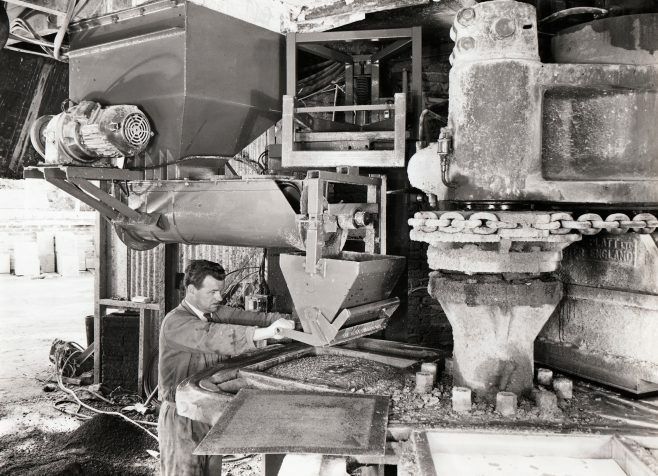 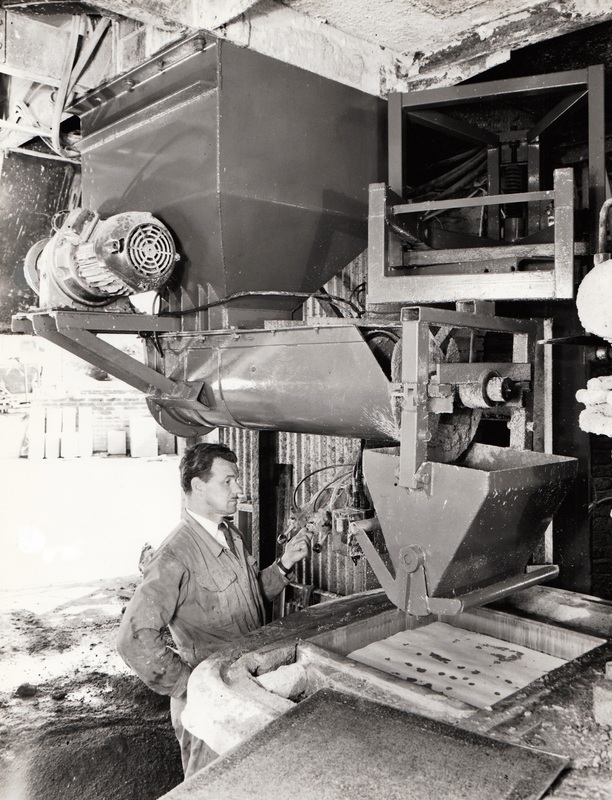 This is the old photo of me operating a water-powered 3-mould Concrete Press at Stowell Concrete at Kenn in Somerset. 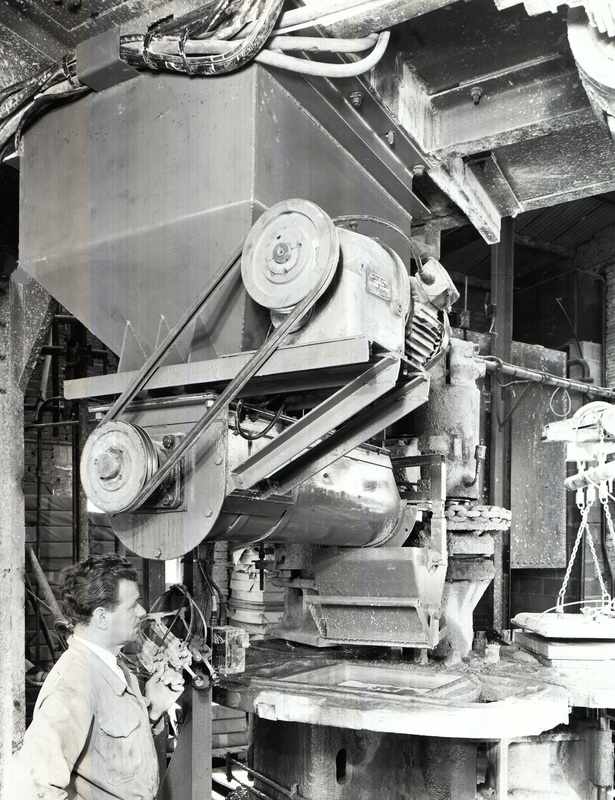 We were testing the first attempt at an automatic concrete filling system. 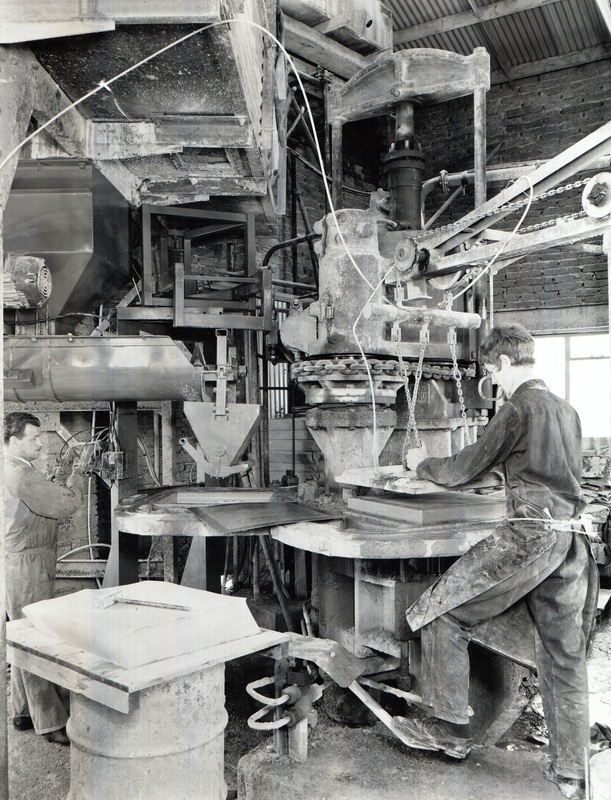 I was an apprentice at the time and it was my first site job. 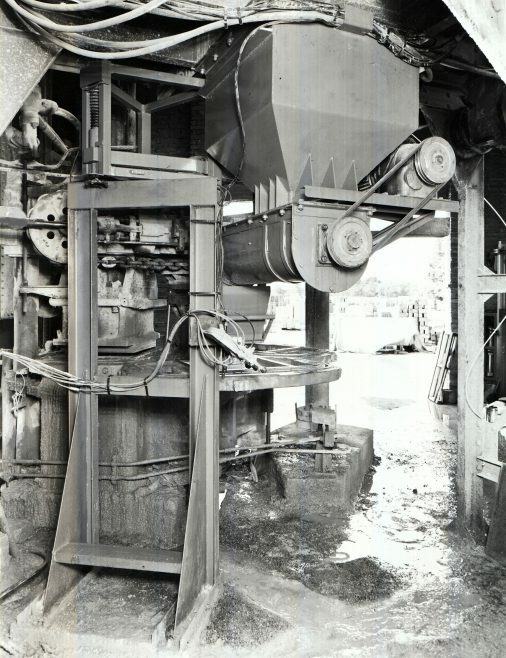 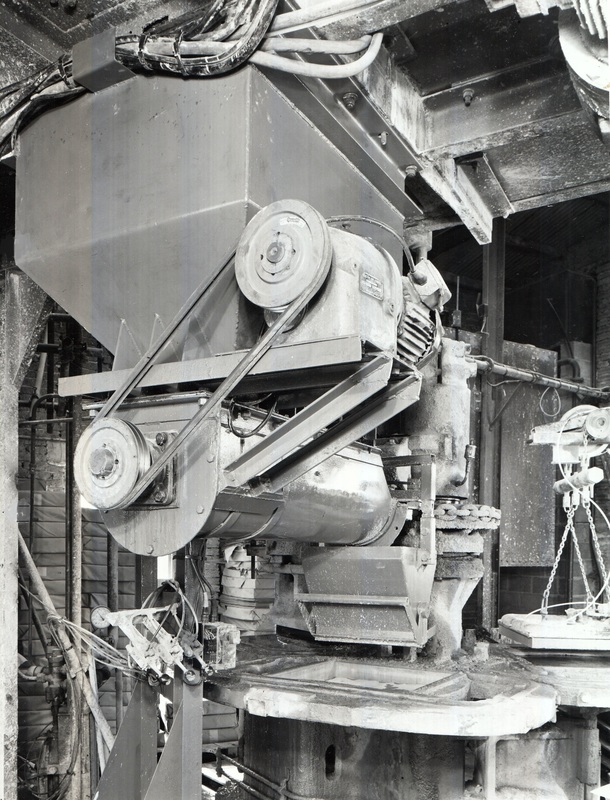 The 400-ton press was powered by a weight-loaded accumulator which would shake the neighbourhood if it hit the floor due to operator error or fault! 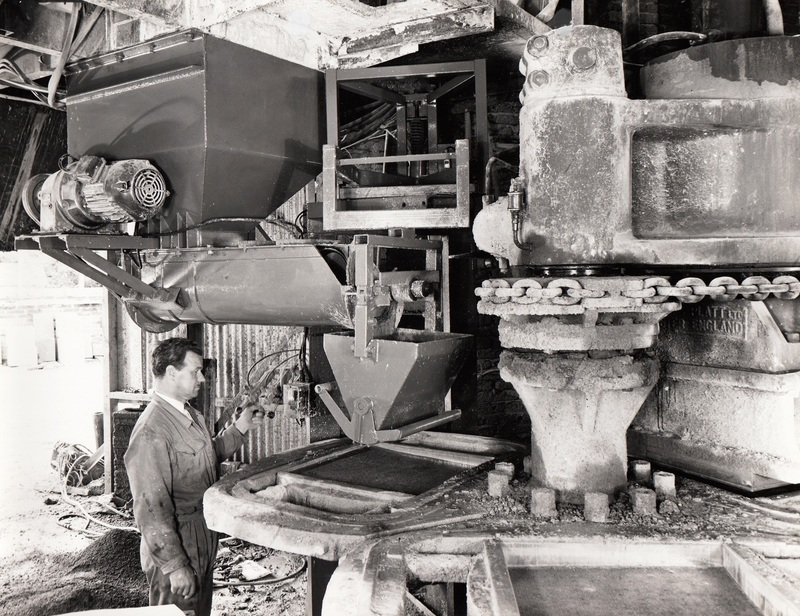 The guy on the left was John (Wim) Migchielson, who was the Design Engineer from Fielding’s. Click on the hyperlink to see the 1967 Apprentice Intake of which Tim was part.